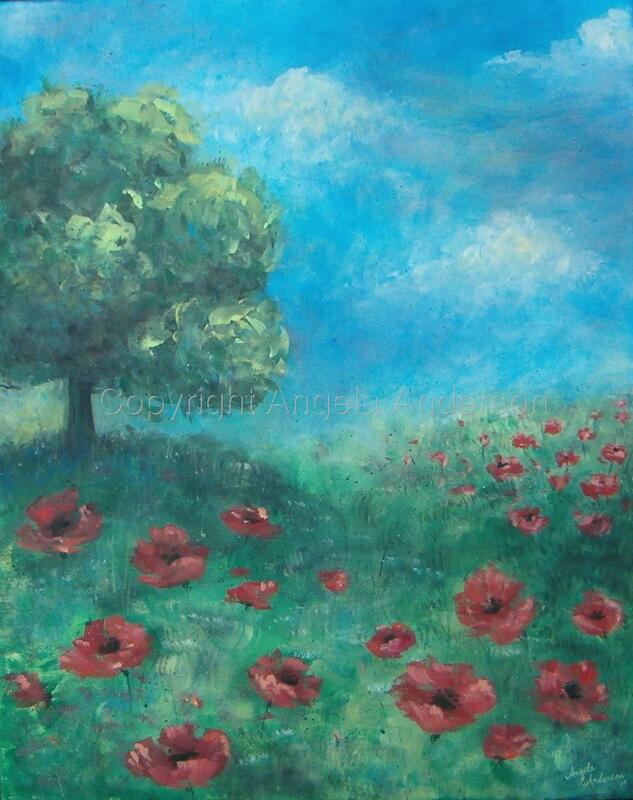 Tree in a field of poppies. Painted on gallery wrapped canvas. Framed in a dark wood frame. Will send more photos if interested.